Polystyrene is often seen as a purely functional material, with uses in the packing, preserving, and insulating industries. But look beneath some of the most pretty, poignant, and pertinent of decorative or commemorative items and it soon becomes apparent that this most versatile of materials plays a vital role. No better illustrated is this than with the example of wreaths. Here we have a major cottage industry, with hobbyists enjoying making wreaths for a huge variety of occasions, including Christmas and Halloween. Of course, few would consider polystyrene to be ideal as a material to be on show in decorative terms. It’s beauty, however, is the ease with which the prettiest of decorations – flowers, leaves, feathers, even craft items such as pom-poms (ideal for a winter effect) can be attached. Add in it’s virtual weightlessness, and polystyrene is the perfect substance for a temporary or, indeed, permanent, wall hanging, not to mention unobtrusive but singularly appealing table centrepiece. Let us not forget also that wreaths are intensely personal and poignant items left as signals of commemoration on memorials across the country, be they marks of respect to those lost in conflict or in tragedies. Similarly, floral wreaths are a centrepoint of many funeral corteges. In the past, the ability to fashion their own wreaths was out of many people’s hands. 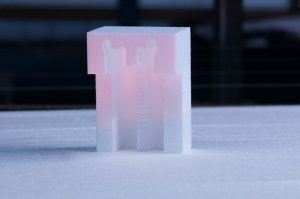 Now the easy availability of polystyrene bases means thousands every year are able to pay tribute in the most personal of ways, creating an image pertinent to an event or loved-one. Make no mistake, polystyrene is yet again adding significant value to an area of the UK economy. The Craft Intelligence Report, released in conjunction with the Craft & Hobby Association UK, reveals that home crafting is an area worth an estimated £3.4 billion. Some 69% of British females participate in at least one craft per year, amounting to 18.3 million women. Much of that increase is down to the easy availability of basic materials, polystyrene being a case in point. Get hold of some and let your creative imagination soar to new and unexplored areas. Meanwhile, for all your polystyrene queries and needs, please give the team at Vertapak a call today. The health market is flourishing and despite the parallel crisis with obesity and convenience foods, consumers love their fresh produce and vitamin nutrient packed foods. 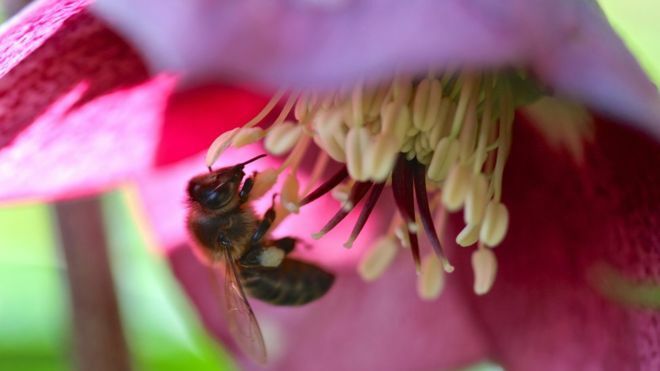 But it can be a tough call to grow, pick, prepare, pack and deliver healthy edible foods, which are often perishable and need suitable protective transportation to prevent damage and maintain consistent temperatures. Polystyrene is a cost effective material that can manage the requirements of protection and temperature control when it comes to fresh food sources. 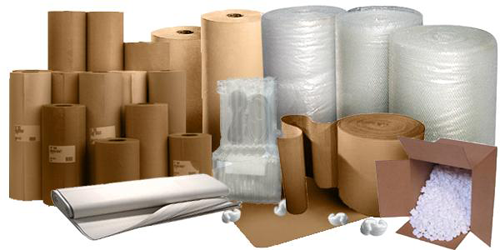 Polystyrene packaging can keep cool things cool and warm things warm due to its excellent insulation properties and extremely low rate of thermal conductivity. This enables the temperature inside polystyrene packaging or boxes to remain stable even if outside temperatures fluctuate. The material is lightweight yet sturdy offering much-needed protective properties to carry foods subject to bruising, cracking and squashing. Polystyrene boxes and containers are watertight and provide a barrier against oxygen and vapour that can spoil food. Available in an array of sizes, polystyrene packaging is perfect for manufacturers of meat, chilled foods, and dairy products that have a limited shelf life. Plus, the packaging is reusable. Expanded polystyrene is clean and uncontaminated and is approved for direct contact with food making it ideal for transportation containers – either as boxes, trays or to line refrigerated units. Everyone is under pressure to commit to protecting our natural environment so it’s comforting to know that polystyrene can be recycled. It’s made up of 98% air with zero destructive chlorofluorocarbons (CFC) gases. VertaPak offers a consultancy service to advice customers of the benefits of polystyrene and how it can be adapted for almost any industry. Please feel free to call the team on 01384 457 730 or email us here for more information. Hang on. Polystyrene and sport? Really? Well, yes. Don’t forget sport, by its very nature, is often high impact. None of us want to come home from what is ostensibly meant to be a pleasurable exercise covered in bruises – or worse. And so polystyrene has long had a part to play in the sporting sphere. When it comes to safety, polystyrene delivers a vital role. Take a look at the average rugby pitch. It has a set of rigid, often wooden or steel, posts at each end. Now imagine clattering into them at speed, possibly pushed into them with force by a 20-stone member of the opposition. It’s going to hurt. That’s why, more often than not, we see rugby posts cushioned by wraparound polystyrene foam barriers. They are not there because, as some might claim, “rugby has turned soft”. They are there because, perfectly reasonably, most men would rather not go home in a wheelchair. Similarly, they have probably got a deep affection for their teeth. Cricket is another sport with high impact potential. Ever had a hard package of leather and cork fired at you at speed and you will know why. Cricket balls hurt. They leave a lasting impression in the tenderest of places. Polystyrene has long been used to soak up the momentum of the ball, with specially designed protectors for thigh and arm. Of course, sport will always carry an element of risk, but polystyrene has been key to minimising many of them as much as possible. Cycling helmets are a (potentially life-saving) case in point. Polystyrene crushes slowly on impact and thus slows the head gradually. It also has limited bounce back, protecting the neck and spine from whiplash injuries. Cyclists also have very little desire to ride around with a diving helmet on their head and a polystyrene-lined helmet meets all the requirements of lightness and comfort. Easy to see then why polystyrene has been so welcomed by the sporting industry. Professional or leisure sportsperson, we all deserve to be safe. Polystyrene has been a major step forward in meeting that guarantee. Please stay tuned for more surprising uses of polystyrene or contact us to discuss your needs. 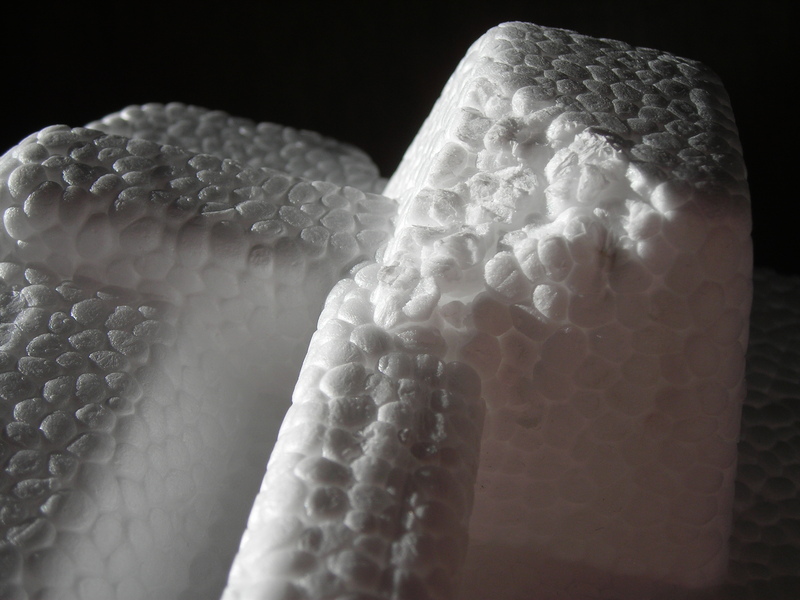 What happens to polystyrene packaging after Christmas? Light and mouldable, polystyrene is the perfect way to package delicate, expensive, odd-shaped, bulky, or compact goods. That’s why, at Christmas, polystyrene really comes to the fore. It’s lack of weight means it adds very little to postage costs, while at the same time guaranteeing that goods arrive efficiently and undamaged. But what happens to all that polystyrene? Many assume it cannot be reused, but in fact polystyrene is a growing part of the recycling sector. Think about it – it’s 98 per cent air. It may look bulky, but in fact it’s ideal for a quick and simple turnaround into something new. Recycling polystyrene makes sense. In its existing airy form, it takes up room in traditional landfill. Instead it can be turned, within days, into packaging or even shrinkwrap. While businesses which use polystyrene have long been aware of the benefits of recycling, more and more local authorities are coming around to the same way of thinking. The government too is keen to press home the advantages of polystyrene recycling. In the meantime, there are plenty of private recyclers happy to take polystyrene. The increase in recycling only adds to polystyrene’s green credentials. Its lightness, for instance, means it is a resource efficient packaging material with a small carbon footprint. Its lightness helps to reduce fuel consumption when goods are being transported and reduces wastage caused by goods broken or damaged in the supply chain. As recycling facilities and technology continue to improve, polystyrene’s position as a viable and friendly substance will be cemented for years to come. We hope this short article has made for an interesting five-minute read. Please stay tuned for more surprising uses of polystyrene over the next few weeks and if you are looking to explore the possibilities of polystyrene please feel free to contact us on 01384 457730. OK, Christmas is on the horizon. We’re all looking to give our homes that something little bit extra on the décor front. At this point we could be forgiven for not immediately thinking of polystyrene, but perhaps we should. This versatile and lightweight material is in fact perfect when it comes to bringing a little bit of the North Pole into your house – with the added bonus that none of it is going to melt on the carpet. Those in the know have long been Chrimbo-ing up their homes with polystyrene snowflakes and stars, some on a giant scale (weight, remember is no bar), as well as polystyrene wreaths (easy to pin holly and berries to) and pointy polystyrene cones to give that proper shivery, icy look. Indeed, some wise individuals have only just put away the polystyrene Halloween pumpkins when they’re back in the cupboard fetching the polystyrene Christmas decorations out! From the starting point of a blank polystyrene star or snowflake, children can add their own designs – glitters, ribbons, lollipops, you name it. Sounds better than just collecting ready-made decorations, doesn’t it? 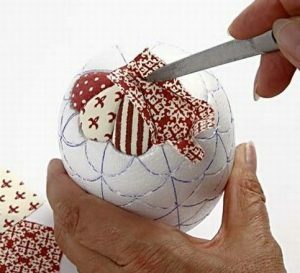 Often, homemade ornaments become festive favourites, put on display year after year, a reminder of happy Christmases gone by – memories of fun times. On a larger, commercial scale, vast polystyrene balls offer great display or promotional opportunities. Imagine a huge glittery sphere hanging centre stage in your business. Smaller spheres, meanwhile, make the perfect snowball substitute – a bit of wow factor when a customer walks through the door. Christmas is a brilliant time of glimmering festive magic. Remember your best friend to make that happen – polystyrene. We hope this short article has made for an interesting five-minute read. Please stay tuned for more surprising uses of polystyrene over the next few weeks and if you are looking to explore the possibilities of polystyrene for Christmas please feel free to contact us on 01384 457730. It keeps cold things cold and hot things hot. In any other world, it would be deemed a product with magic properties, fought over by governments across the globe. But this is polystyrene – and such is polystyrene’s versatility that nobody bats an eye. Polystyrene boxes offer unparalleled insulation for temperature sensitive products. Without blinding you with science, the reason is they have an extremely low rate of thermal conductivity. It’s why you see so many of them piled up in fishing ports. Not only that but they add virtually zero weight to the operation, making them supremely portable. Chilled and frozen food couriers swear by them. Reusable, food safe, and water tight, polystyrene boxes are environmentally friendly in the extreme. Available in a multitude of sizes, they can be used to transport perishable foodstuffs again and again. Producers of meat, chilled pastries, and dairy products all love them. Their well-known resilience, meanwhile, means they absorb knocks and bumps with zero or very little impact on whatever’s within. That is vital in fields where often it’s high-end quality goods that are being transported. And it’s a box – so it can easily be emblazoned with your brand or message. Did you know there are people who use polystyrene boxes for cooking? Yes, really. Fill a polystyrene box with straw, slap in a part-cooked meal (helps if it’s in a pot obviously), set off to your dinner engagement of choice, and it will carry on cooking on the way. Don’t tell the power companies – they’ll be livid! Even when they’re past their prime, polystyrene boxes keep on giving. They’re perfect for growing mushrooms, for example. Some people even use them as nest boxes for chickens. This, though, has to be the best – store your kids’ Lego in them so it doesn’t make any noise when they pack it up or tip it out. We hope this short article has made for an interesting five-minute read. Please stay tuned for more surprising uses of polystyrene over the next few weeks and if you have any queries about polystyrene and its clever box uses, please call the team on 01384 457730. 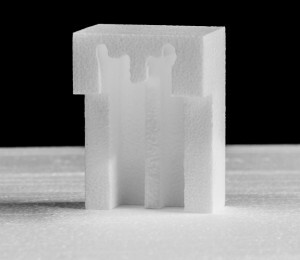 Every month we write a blog article discussing the versatile uses of polystyrene. It never ceases to amaze people just how multifunctional this lightweight material is; take the rail industry as an example. How does the rail industry use polystyrene? The construction industry in general has many uses for polystyrene, due to its eco-friendly thermal performance qualities and efficiency in reducing project duration when used. Over the past few years we’ve seen the rail industry take on board (excuse the pun) the benefits of implementing polystyrene products into the construction of rail platforms. Expanded polystyrene (EPS) and its modular composition is widely used in Europe albeit adoption in using the material is fairly slow in the UK. Not only does the polystyrene carry all the official compliance for safe construction application, approved by European and Network Rail standards, but it also beats established methods for duration times hands down. Recent quotes from Network Rail about a rail platform extension project in Peterborough, UK, suggests the completion time using polystyrene was a remarkable four times faster than if they had used concrete and two-three times faster than if steel had been the material of choice. Despite being 98% air, polystyrene is hardwearing and offers excellent durability against the risks associated with hazardous chemicals. The lightweight material removes the need to excavate a deep foundation and the modular construction allows for quick installation with fewer personnel. Consequently, this reduces risk to workers and greatly improves the consistency and scalability of projects. Throw in the fact that polystyrene is recyclable and achieves an A+ summary rating in the BRE Global Green Guide to Specification then it ticks all boxes in our eyes. If you are looking to explore the possibilities of polystyrene please feel free to contact us on 01384 457730. Modern buildings need to be as efficient and eco-friendly as possible as governments strive to make organisations greener and those same organisations are looking for ways to tighten the financial belt without compromising health and safety. Individuals are also looking for warmer, quieter and more economical homes so, in reality, everyone is looking for a two-phase solution – one that is green and cost effective. Polystyrene is durable, recyclable and easily disposable. Buildings are now constructed with improved insulation levels, most notably aided by polystyrene. Used in conjunction with reinforced concrete and other building constituents, polystyrene can help with the stability and resilience of external and internal framework structures such as cavity walls and beam and block flooring systems. The material is made up of 98% air, has no harmful CFC gases and maintains steady temperatures through its high insulation properties. Consequently this also guards against draghts from air leaks and the forces of Mother Nature. Expanded polystyrene is now a key product used by the building industry for thermal performance, which also helps to support quicker and more efficient building. This goes a long way to help meet the demand for new build homes across the UK. Lightweight moulded EPS panels are frequently used to construct underfloor heating systems. Heating pipes can easily be fitted within pre-cut polystyrene panels enabling rapid installation and for ground floor buildings and suspended floors (which were previously difficult to achieve). In addition, polystyrene is a very good noise insulator, perfect for when little Tommy wants to learn how to play the drums or the better half’s favourite television programme starts. Even space exploration is considering the future use of polystyrene due to its lightweight and many diverse features. If you are looking for a polystyrene manufacturer to partner with for your construction requirements, please feel free to contact us on 01384 457730. We bet you’ve forgotten about the crucial part polystyrene played in your life as a child (or an adult). In fact, we’d go as far to say that it was once your lifesaver and, despite it’s lightweight composite of around 98% air, it was your rock too. Yes, we’re talking about the extraordinarily simple yet life-changing product that is the … swimming float. Tried and tested, the swimming float comes in many guises but all offer universal support for beginners, developing swimmers and competitive use. Here at Vertapak, our main focus is the production of high-quality polystyrene packaging and insulation solutions but occasionally we thought it would be fun to review some of the other important and uses of versatile polystyrene. Think back to when you first entered a body of water. You may have received the supportive hands of your mother or father gently immersing you into the water of a swimming pool on holiday or the local leisure centre. Blowup armbands were probably your first recollection of a swimming aid but budding swimmers cannot get far with expandable multicoloured biceps. Soon, a polystyrene aid is called for. Not only does this essential item help with confidence building in the water but it also encourages the swimmer to develop their technique. Nowadays, swimming aids that help toddlers and small children to learn how to swim and feel confident when buoyant in the water, come in all shapes and sizes. Choose from ‘kick board’ shapes in the form of wild animal characters, numbers or letters to lean on or grasp with the hands to practice the leg kick or a ‘pull buoy’ held between the thighs. The main purpose of a polystyrene float is to support your weight whilst on your front or back and therefore leaving your limbs free to practice movements and to aid muscle strength. Because of this, the size of the float is important, as it has to hold a person’s weight. A quick guide is to measure the float against your arm. Tubular Woggles are polystyrene cylinders about 1.5 metres long which can be used to support swimmers whilst also keeping legs and arms free for full movement front or back. Disc bands, sectioned padded jackets and baby grow costumes are alternative polystyrene float aids. Polystyrene contains no harmful CFC gases and is easily recycled. If you have any old polystyrene materials, consider reusing them as storage or packing aids at home or in the workplace. It can even be broken down into beads and mixed with new polystyrene beads in order to mould it into new materials.